For its relatively small size—it’s about the same size as West Virginia—Costa Rica offers a wealth of educational opportunities. Nearly 25% of the country’s land is protected in national parks and privately owned reserves. 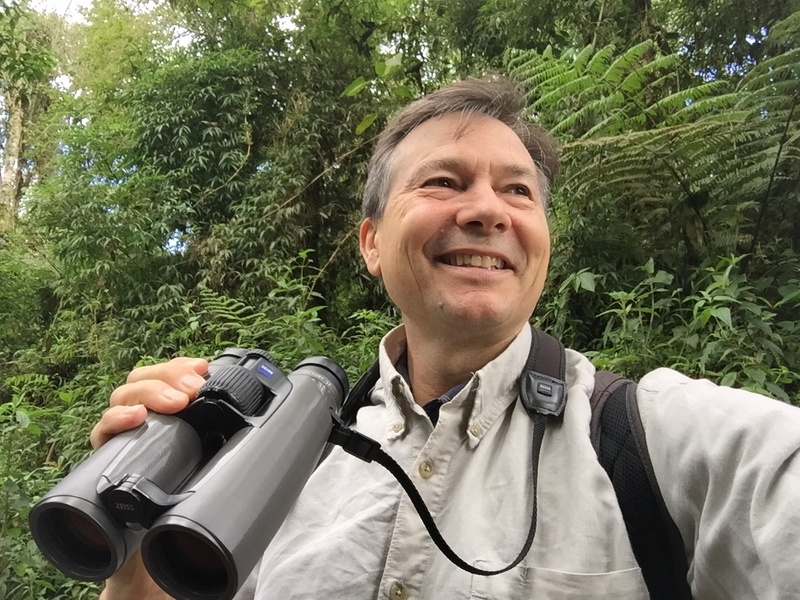 Costa Rica is an ideal location to learn about biodiversity with 900+ species of birds, 300+ species of reptiles and amphibians, 239 kinds of mammals, plus an astonishing 11,000+ plants. With its beaches, forests, volcanoes, rivers and rapid streams, Costa Rica is a great place to enjoy outdoor adventure activities. Forest zip lining, kayaking and whitewater rafting are safe options that add a different learning dimension. 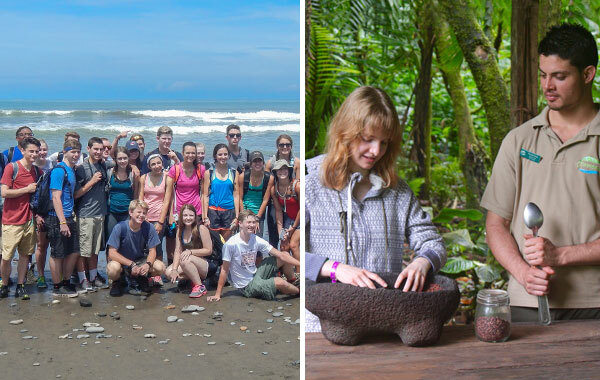 Whether your focus is science, cultural studies, language, history, or a cross-disciplinary approach, Costa Rica is the perfect place for hands-on, site-based learning. 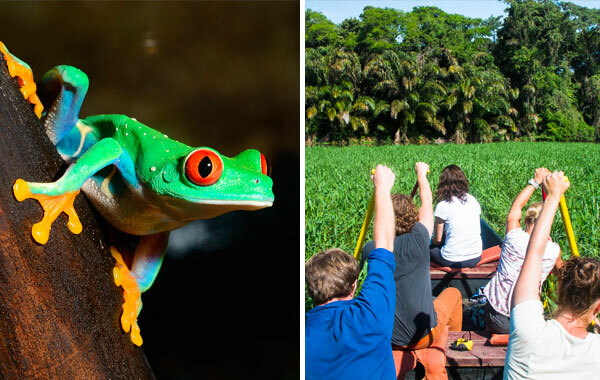 From its diverse ecosystems, neotropical flora and fauna, and distinct geological features to its museums, archaeological sites, and picturesque colonial towns, students can gain greater global awareness and a deeper understanding of curricular concepts in a real-world setting. In recent decades, Costa Rica has been a global pioneer in preserving its natural resources. Up until the 1970s, logging threatened to destroy much of the country’s forests, but the government enacted measures to reverse the trend. Today nearly 25% of the country’s land is protected in national parks and privately owned reserves. Students can meet with ecologists, learn about current initiatives, and make meaningful contributions to conservation projects. 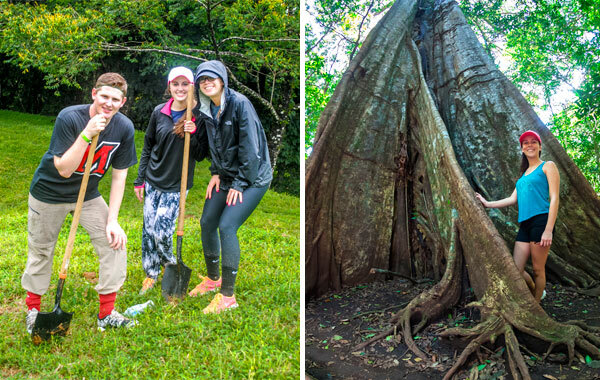 Costa Rica has many programs that allow students to give back with conservation, reforestation and community projects. One way to give back is by working with the Sarapiquí Conservation Learning Center, a non-profit organization founded by the founder of Holbrook to preserve the cultural integrity of the rural community of Chilamate and aid in sustainable community development projects. Another way to help the environment and help marine life is by volunteering with sea turtle researchers. Spend some time with the Sea Turtle Conservancy during nightly patrols to monitor sea turtle nesting activity while contributing to critical scientific research. Cost – Costa Rica is affordable and offers a variety of accommodations and activities to suit every budget. Its long history in ecotourism and established infrastructure help make Costa Rica affordable for students of all economic backgrounds. Safety - Costa Rica is known for its happy, friendly people. In fact, Costa Rica is consistently ranked among the happiest populations in the world and has been peaceful and free of conflicts for many decades. Accessibility - A direct flight to San José is less than three hours from Miami, so it can be a more manageable flight for first time or nervous flyers. Costa Rica does not require U.S. citizens to have a visa for entry. All you need is a passport. Eco-Friendly - Costa Rica is a world leader in environmental conservation and the protection of biodiversity. Approximately 25% of Costa Rica has been designated as protected land by the government. Costa Rica’s Certification for Sustainable Tourism (CST) program helps regulate businesses in the tourism industry. 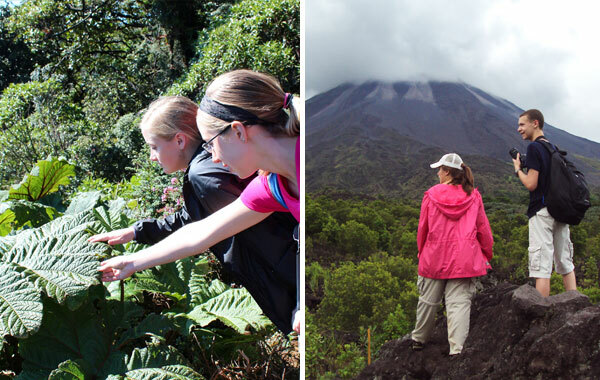 Educational Connections - Costa Rica offers experiential learning opportunities in a variety of disciplines: biology & natural history; marine science; environmental studies & conservation; geology & volcanic studies; service learning & citizen science; history & archaeology; cultural studies & language. 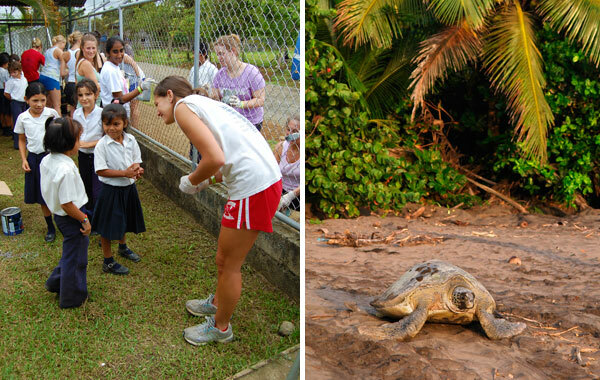 Costa Rica provides a perfect setting for students to take classroom concepts and apply them in the field, whether gathering data on sea turtle nesting sites, comparing tropical ecosystems, studying Spanish while staying with a tico family, or meeting farmers who practice sustainable agriculture. To learn more about Costa Rica for student travel, download Costa Rica: The World’s Greatest Classroom. Or visit the Costa Rica section of our website.